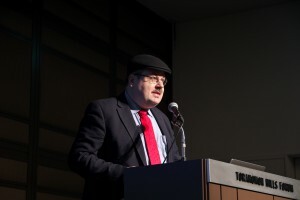 It was still chilly in Tokyo on March 10 when the symposium was held. Receptionists were very busy to receive 450 participants. Pepper, the very special IVI member, also welcomed the participants and softened their heart. ■ IoT is not just for large enterprises! Mr. Kasutani pointed out that political responses in Japan included a programme “Support of SMEs for introduction of the IoT”, and encouraged the audience to be active in this field. Naturally, in IVI there is a workgroup “Connected small factories” (WG 306). At the symposium, it has been made clear that IoT is not too cumbersome to implement, and can be utilized by organizations other than large enterprises, taking the right approach. In fact, SMEs have more restrictions than large enterprises. However, IVI is expected to create an IoT model which would make a difference especially for environments with limited resources. Different workgroups presented their outcome and findings. Many projects not only were novel by their scope, but also were a first time for many companies to work together, as all projects were having mixed participation from sometimes even competing enterprises. The presentation of most workgroups ended with a photo of the workgroup’s celebration party. 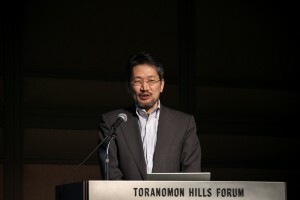 A speaker said a remarkable comment, “Connection of people is as important as the connection of data.”, and similar notes were mentioned by other speakers. Data sharing may not be effectively realized without communication. 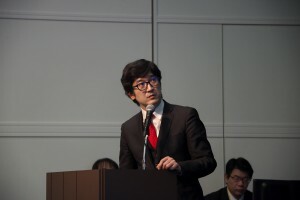 Communication should thus be the first step for “Connectivity.” And the increased cross-communication was clearly felt a one of the outcomes of IVI activities since its inception. Participants have been asked to fill in a questionnaire before leaving the symposium. Here is some feedback. To the question “What is an important issue for manufacturing business regarding the IoT?”, many cited a speedy response by the top management, cost-effectiveness in dealing with the IoT, creation of a business model, shortage of IT engineers/in-house human resources/knowledge, and ensuring of security. To the question asking for “comments on the content of WGs’ presentation and the results of demonstration experiments,” many mentioned easy-to-understand presentation with animation, practical acts (demonstration experiment) instead of a mere theory, and expectation for continuous activities. 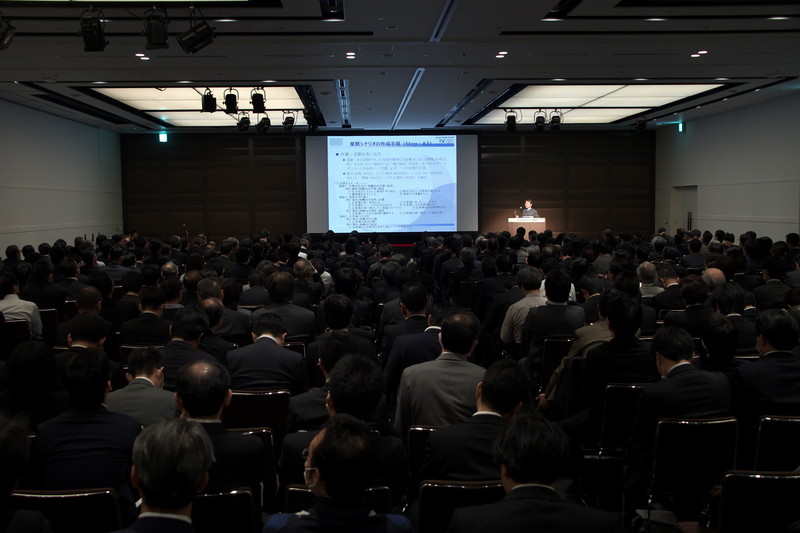 It was a delight that our activities were highly recognized at this symposium. To the question asking for “any contributions your organization would be able to make for IVI,” many positive answers were given including: standardization of infrastructure, platform, BOP model, etc. 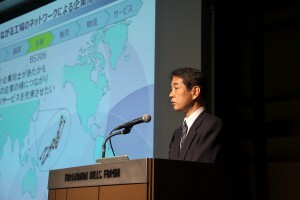 ; support for dissemination of the idea and method of IVI throughout Japan; and participation in WGs. Many visited the symposium and became aware of the activities of IVI. They also expressed their support through the questionnaire. We hope that our activities will become known to more people through this kind of symposium and other opportunities. IVI has been working on the development of loose standards in Standard Model Committee, along with the tasks of Business Scenario Workgroups. Reference of activities, information and things has been in preparation to be used when making business scenario. 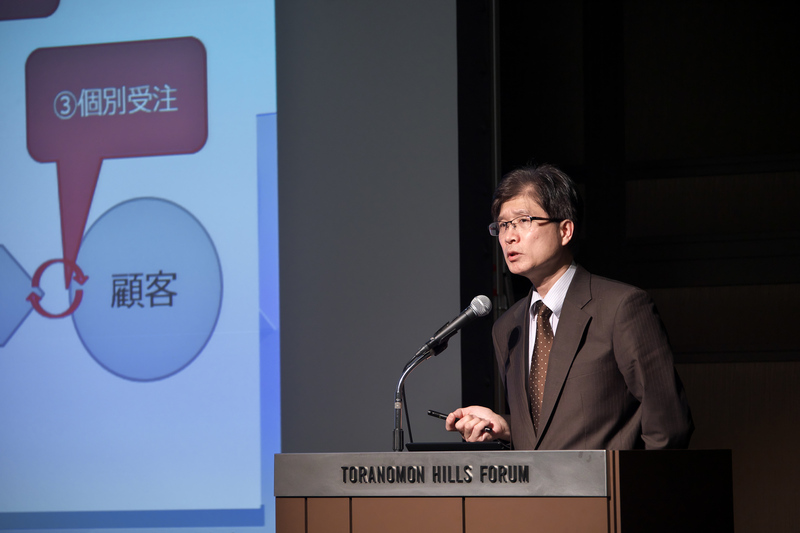 The presentation described the procedure for the development of business scenario, and introduced the activities conducted in response to business scenario by Activity Reference Model WG, Information Reference Model WG, Thing/Object Reference Model WG and Data Reference Model WG. 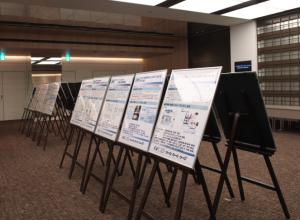 The activity reports of the Business Scenario WGs were displayed at the foyer in front of the lecture hall. 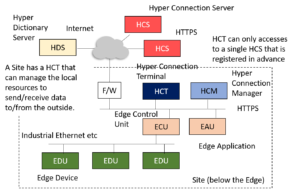 101 Cloud enabled monitoring platform for global distributed factories. The activity report of 20 workgroups will be printed in a brochure. It may be given to non-IVI members who need it, if any, at the actual cost of printing. 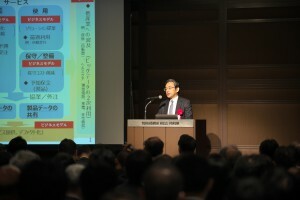 The brochure will be released in June. Its distribution will be announced on the IVI Newsletter. The third issue of IVI Newsletter, featuring the symposium held on March 10, has been prepared and distributed so that those who could not participate in the symposium would also be able to share its content and to expand the circle of IVI activities. Dr. Axel H. Saleck, an academic member of IVI living in Germany, introduced updates on Industrie 4.0 from Germany ― motivation, environment, status and trends of Industrie 4.0 ― in a joint session with Mr. Kawano from Beckhoff. 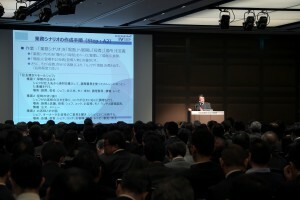 The progress of I4.0, the 2025 vision “Smart Service Welt” , the recent announcement of cooperation between Industrie 4.0 and IIC towards standardization and others were presented. 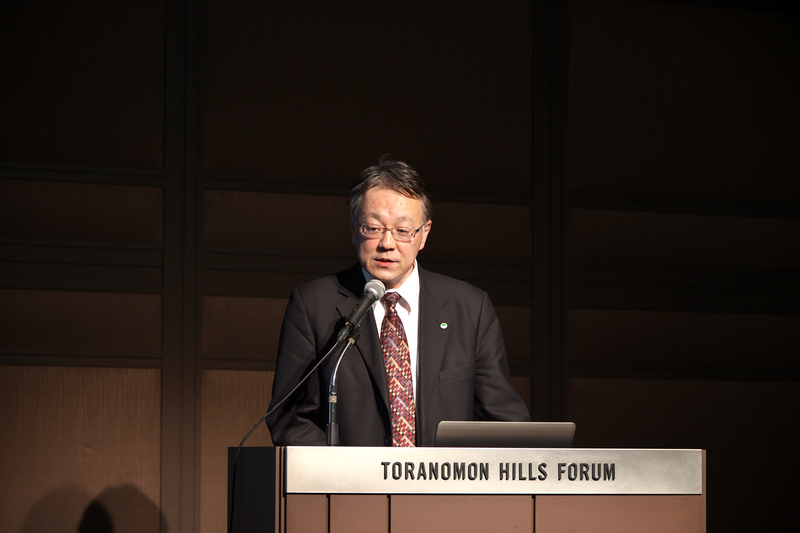 The symposium was concluded by IVI President Yasuyuki Nishioka who spoke about the near-future plan of IVI platform development. This platform is a system to align related operations and to exchange/transmit necessary data. 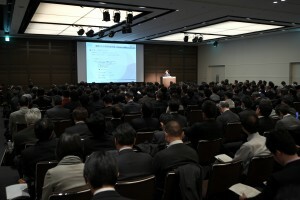 In addition, the idea of local seminars/workshops throughout the country was mentioned. IVI President Yasuyuki Nishioka will be a speaker at the HANNOVER MESSE 2016, as part of the Forum “Industrie 4.0 meets the Industrial Internet”. 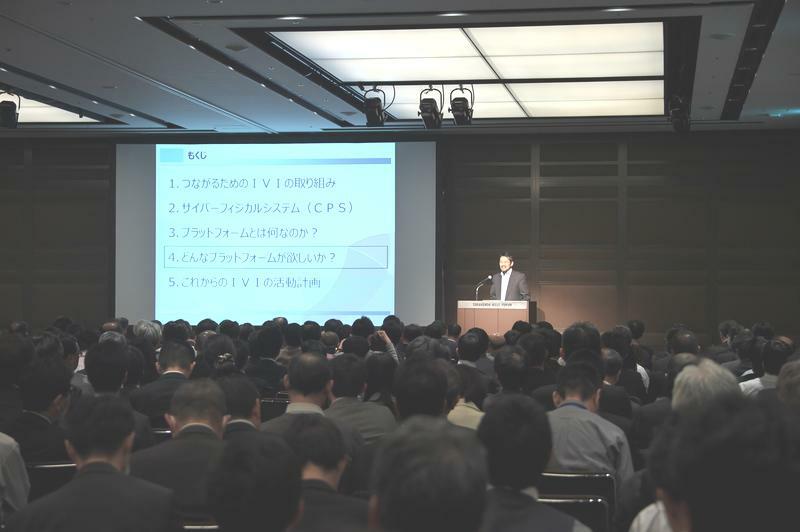 His speech titled “Industrial Value Chain Initiative (IVI) – A Japanese contribution to smart manufacturing” will be held　on Apr. 28th, 11:00 AM – 11:30 AM at Hall 8, Stand D19. 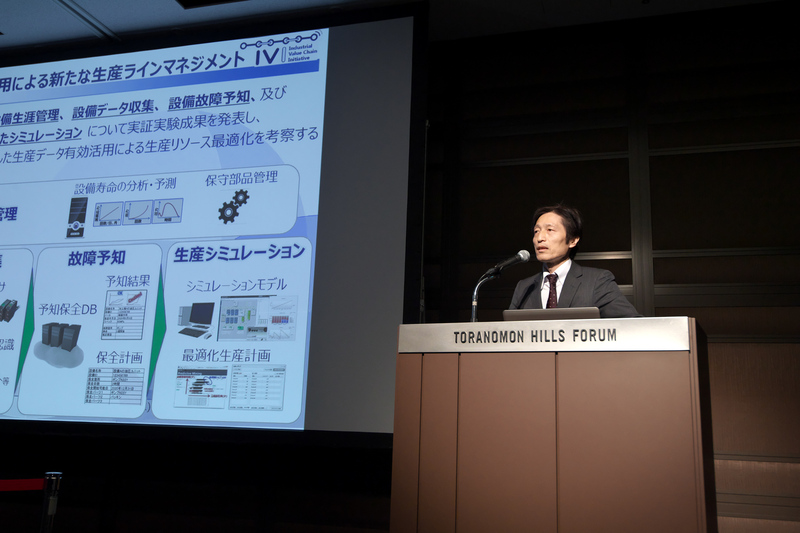 This third issue of IVI Newsletter, featuring the symposium held on March 10, has been prepared so that those who could not participate in the symposium would also be able to share its content and to expand the circle of IVI activities.